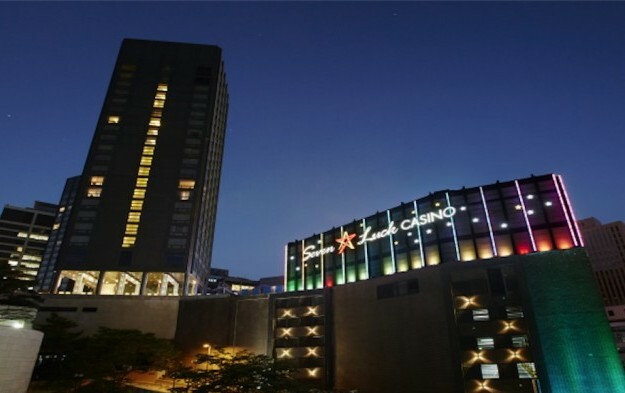 South Korean casino operator Grand Korea Leisure Co Ltd (GKL) said its fourth quarter net income fell by 58.4 percent year-on-year to approximately KRW14.20 billion (US$13.0 million). Aggregate revenue for the period declined by 14.1 percent compared to the prior-year period to KRW127.64 billion, the firm said in a filing to the Korea Exchange on Thursday. GKL said its operating income in the fourth quarter of 2017 was KRW18.35 billion, down by 57.5 percent year-on-year. The company didn’t give commentary on the quarterly results filed with the Korea Exchange. The Thursday filing also showed that in the twelve months to December 31, GKL recorded aggregate revenue of nearly KRW501.30 billion, 8.6 percent lower than that in the prior-year period. The company saw its full year net profit decline 29.6 percent year-on-year, to approximately KRW80.54 billion. GKL recommended, following its fourth-quarter results, a final dividend of KRW600 per share for the year ended December 31, 2017. But the company did not specify when the dividend will be paid. The total dividend for full-year 2017 amounts to approximately KRW37.11 billion, the company said in a separate filing to the Korea Exchange. Investment analysts have suggested that results of foreigner-only casinos in South Korea have suffered from a reported ban by Chinese authorities on tour groups going to the country. Chinese gamblers are reportedly an important customer segment for foreigner-only casinos in South Korea. According to South Korean media, China had imposed a ban on South Korea-bound group tours as of the autumn of 2016, in retaliation for South Korea’s decision to install the U.S.-supplied Terminal High Altitude Area Defense (THAAD) anti-missile system close to Chinese territory as a counter to North Korean missile tests. China has never acknowledged the existence of such a ban. While there were reports suggesting that the purported ban was partially lifted at the end of November 2017, but in the following month there were new media reports stating that the ban was back in place.